If you are looking for something different to add to your event, fire bellydance fusion may be right for you. 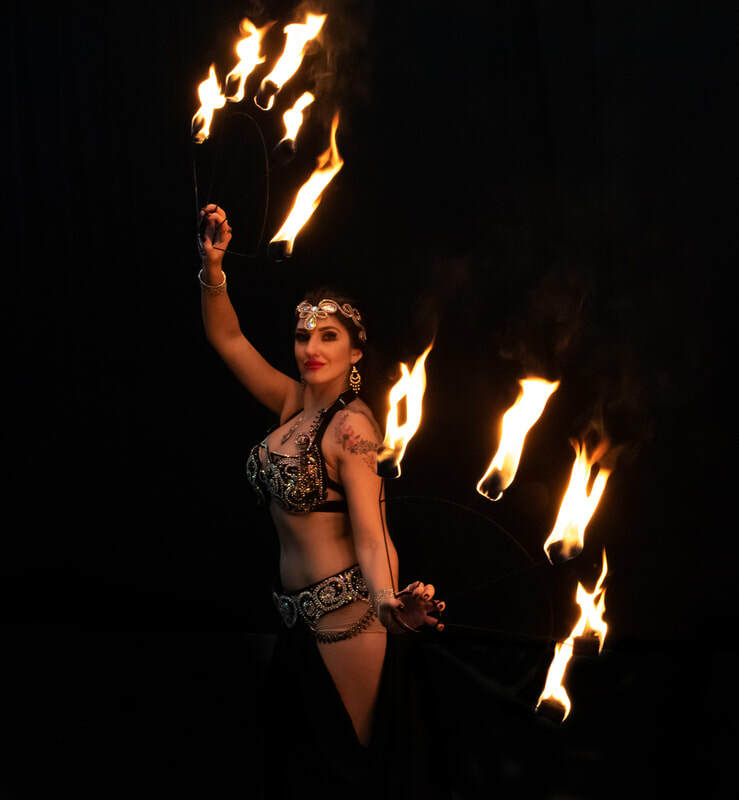 Sarasvati is fully insured fire entertainer and has performed for number of venues with her fire act bellydance fusion which involves bellydance/Middle Eastern music with use of fire props like sword, fire fans and fire palms. 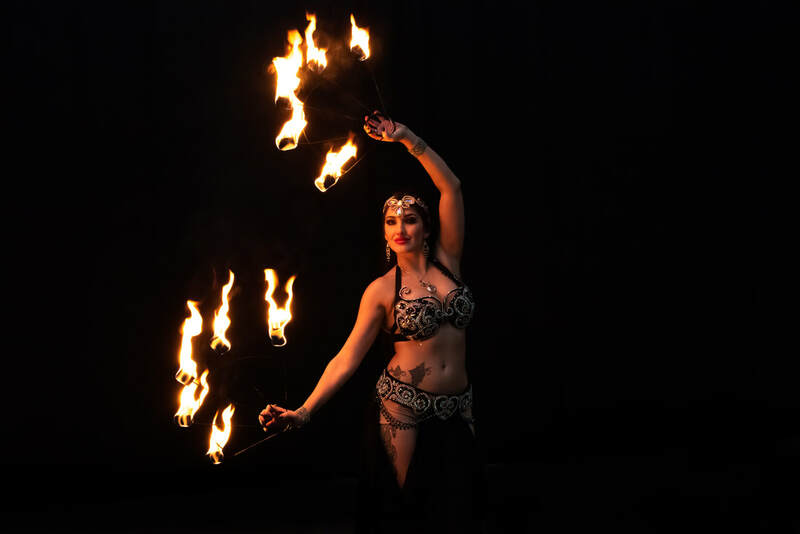 Fire adds additional magical dimension into the performance and fusing it with bellydancing with leave your guests completely mesmerised. ​For safety reason we will always advise to contact Sarasvati first to check if your venue is eligible for fire belly dancing.